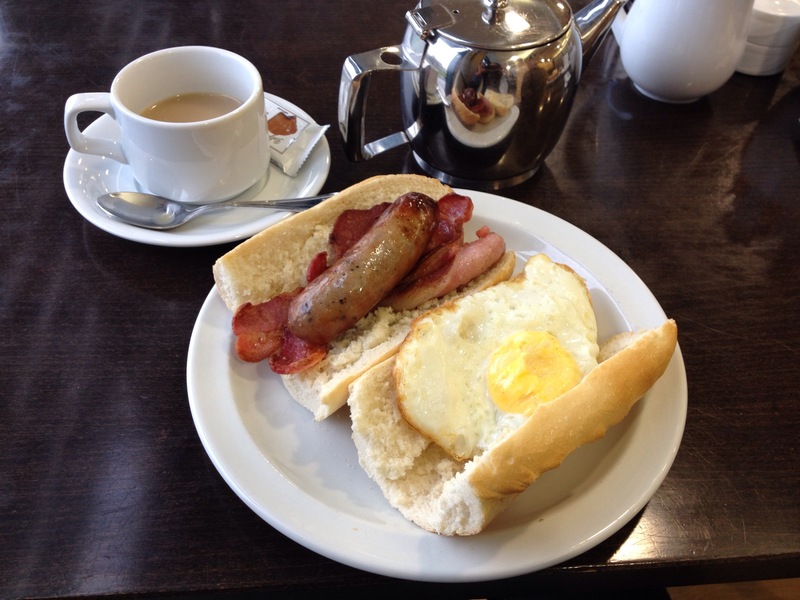 After Tuesday morning yoga, my friend, the teacher & I went for breakfast in Moffetts & I decided to try their breakfast roll which came with tea/coffee for €6. Not a bad deal plus I was stuffed afterwards. The roll came with a fried egg, 2 rashers & 1 sausage. I proceeded to slather it with ketchup after the photo was taken.